Central Coast Olive Oil Competition Is Now Accepting Entries! Home › Latest News › Central Coast Olive Oil Competition Is Now Accepting Entries! 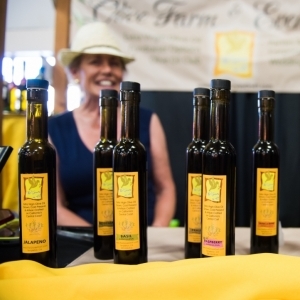 Paso Robles, California – The Central Coast Olive Oil Competition, hosted annually by the California Mid-State Fair and in partnership with the Lodi Grape Festival, is now accepting entries. The tenth annual competition will take place in April 2018 and will feature over 100 olive oils produced in California.